Hanuman Fire Lab- Lord Hanuman is the eleventh Rudra or the divine incarnation of Lord Shiva who symbolizes strength and loyalty. 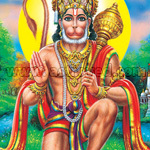 Lord Hanuman's divine power also provides you with courage and inner peace. He helps protect you from both foreseen as well as the unforeseen dangers. Curses and 'evil eyes' can be warded off with his blessings. The monkey faced God can protect you through all your endeavors. The Fire Lab for Hanuman as the chief archetype invokes the Monkey God, regarded as the divine incarnation of Lord Shiva. Hanuman is worshipped in both miniature and giant forms, which represent his immense strength and humility. He is said to favor all those who surrender to him unconditionally without malice toward others. 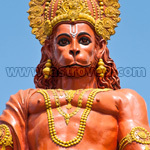 The vibrations from the ritual generate tremendous spiritual energy and establish a religious connection with the all-powerful archetype Hanuman who symbolizes loyalty and courage. 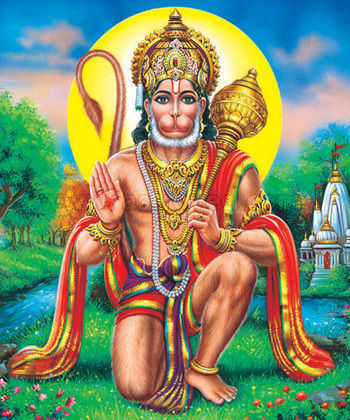 Lord Hanuman represents hope for humanity and embodies the very essence of omnipotence. 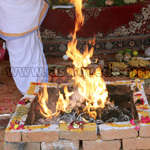 Performing the Fire Lab can help you reach out and experience his divinity, which can bless all those who worship him with an all-pervading aura. Hanuman is immensely powerful, wielding enormous strength. A thorough understanding of his traits is necessary to reap the complete benefits of this Fire Lab. In his unique form as Sankat Mochan (reliever of suffering), Hanuman is said to liberate mankind from misery and hardships. Performing this Fire Lab can instill you with tremendous courage to handle the vagaries of life, rendering even the most difficult tasks effortless. Experience the energy flowing from the Fire Lab permeating your mental and spiritual being, helping you accomplish seemingly impossible tasks. Why the Hanuman Fire Lab? 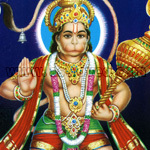 The Fire Lab invoking the blessings of Lord Hanuman as chief archetype is performed by our fully qualified Vedic specialists who are endowed with the requisite knowledge. The appropriate hora (auspicious time) for performing the ritual is chosen by our astrologers on your behalf when the energy from the ceremony is said to be multifold. The Lord Hanuman homa is recommended if you are running Saturn major or minor periods (Dasa or Bhukti) to negate the negative impact during this period. This Hanuman homa (Fire Lab) performed for 6 months, once a month, invokes the blessings of Hanuman, who is called the eleventh Rudra or the divine incarnation of Lord Shiva and who is the epitome of strength and loyalty. Hanuman's divine blessings can provide you with courage and inner peace. He can protect you from both foreseen as well as the unforeseen dangers. Curses and 'evil eyes' can be warded off with his blessings. This Hanuman homa (Fire Lab) performed for 12 months, once a month, invokes the blessings of Hanuman, who is called the eleventh Rudra or the divine incarnation of Lord Shiva and who is the epitome of strength and loyalty. 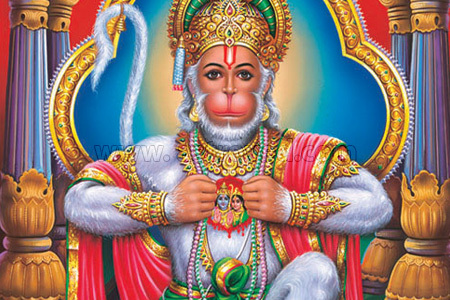 Hanuman's divine blessings can provide you with courage and inner peace. He can protect you from both foreseen as well as the unforeseen dangers. Curses and 'evil eyes' can be warded off with his blessings.